Retirement plans such as 401(k)s and IRAs can be divided between spouses in divorce. However, the division must be done carefully to avoid immediate taxation, the 10% early withdrawal penalty, and in the case of qualified plans, disqualifying the entire plan because plan rules generally provide that the participant’s plan benefits cannot be assigned to another person. The tax law allows an assignment of qualified retirement plan benefits to the non-participant spouse if the assignment is made pursuant to a qualified domestic relations order (QDRO). Alternate Spouse is Taxed on Distributions: The alternate spouse is the person who receives the assignment of the qualified plan benefits formerly belonging to the employee participant. If the alternate payee is someone other than a spouse (e.g., a child), the plan participant is taxed on the distribution. The 10% Penalty Does Not Apply: the 10% early withdrawal penalty does not apply to a distribution made under a QDRO. Participant’s Basis is Allocated: if the plan participant has basis in the qualified plan, the basis amount is divided pro-rata based on the amount transferred to the alternate payee and the total amount of the plan balance. Example: Tim and Laura get divorced. Laura has a $100,000 in a 401(k) account. 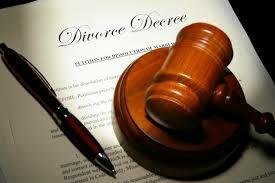 The divorce decree divides Laura’s 401(k) account 50/50 between them. The division is made pursuant to a QDRO. Neither Tim nor Laura are taxed on the $50,000 401(k) balance transfer. Tim can rollover a distribution from the 401(k) to another plan. However, if Tim rolls over a distribution into an IRA, any subsequent distribution from the IRA will be subject to the 10% early withdrawal penalty if Tim is under 59 and a half years old when he takes the distribution from the IRA. So What is a QDRO? it creates or recognizes the right of the alternate payee to receive all or a portion of a participant’s benefits under a qualified retirement plan. The IRS is a bit of a stickler when it comes to requiring this information in QDROs. If any of the above information is not in the QDRO, the IRS may argue that the division is a taxable distribution from the participant’s qualified plan. This would result in immediate taxation to the plan participant, the 10% penalty, and may jeopardize the entire qualified plan because benefits were assigned to a non-participant. The rules regarding QDROs do not apply to the division of IRAs. However, the transfer of an individual’s interest in an IRA to a spouse or former spouse under a divorce or separation agreement should not be a taxable event to either spouse. 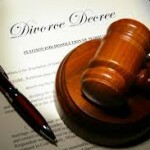 To receive tax-free treatment, it is critical that the divorce decree specifically require the transfer. It is also very important that the IRA funds be transferred DIRECTLY to the other spouse’s IRA and not first distributed to the spouse who originally owned the IRA. If the IRA owner takes a distribution from the IRA and then transfers the funds into his former spouse’s IRA, he will have taken a taxable distribution from the IRA and could be subject to the 10% early withdrawal penalty. Once the IRA balance is transferred to the new owner, the new owner will be subject to the 10% early withdrawal penalty if he/she takes a distribution out of the IRA before age 59 and a half. This is different from the rule regarding distributions from qualified plans divided under a QDRO, where the alternate payee’s distributions are not subject to the 10% penalty. If an offer in compromise for federal taxes has been accepted by the IRS for the same tax years, the state treasurer may compromise the outstanding balance of the state liability for each year by applying the same percentage as the federal liability compromised to the total federal liability. Example: John owes the IRS $100,000 and the State of Michigan $50,000. His federal offer in compromise has been accepted and he now owes the IRS $20,000. Since John’s federal offer in compromise was accepted for 20% of the tax owned, his Michigan offer will likely also be accepted for 20% of the $50,000 tax amount owed. the taxpayer fails to comply with any of the terms and conditions relative to the compromise or the taxpayer becomes delinquent on current tax filings and/or payments. The state will disclose return information to members of the general public to the extent necessary to permit inspection of any accepted offer in compromise. To apply for a compromise, taxpayer must submit the GREATER of $100 or 20% of the offer to the department. 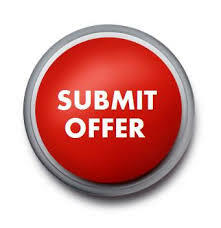 If the offer is accepted, the application fee will be applied to the reduced balance. 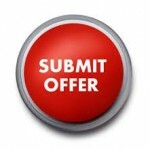 If the offer is rejected, the application fee is non-refundable but will still be applied to the original balance due. When Moving Expenses are Deductible. A moving expense deduction may be available if you moved due to a change in your job or business location, or because you started a new job or business. To deduct moving expenses, taxpayers must meet a distance test and a time test. Your new principal place of work must be at least 50 miles farther from your former residence than was your former principal place of work. More simply put: take the distance between your new place of work and your old residence and subtract the distance between your former place of work and your old residence. This difference must be at least 50 miles or more. Example: Romeo recently moved in connection with a new job. His old job was 10 miles from his old home. His new job is 50 miles from his old home. Subtracting the 10 mile drive from his old job to his old home from the 50 mile drive from his new job to his old home leaves a difference of 40 miles, which does not qualify because this difference is less than 50 miles. Example 2: Juliet recently moved in connection with a new job. Her old job was 4 miles from her old home. Her new job is 60 miles from her old home. Subtracting the 4 mile drive from her old job to her old home from the 60 mile drive from her new job to her old home leaves a difference of 56 miles, which qualifies because this difference is at least 50 miles. If you had no former principal place of work, the new principal place of work must be at least 50 miles from your former residence. This test is much simpler to calculate! If you are an employee, you must work full-time for at least 39 weeks during the first 12 months immediately following your arrival in the general area of your new job location. If you are self-employed, you must work full time for at least 39 weeks during the first 12 months and for a total of at least 78 weeks during the first 24 months immediately following your arrival in the general area of your new work location. There are exceptions to the time test in case of death, disability and involuntary separation, among other things. 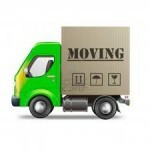 What are Deductible Moving Expenses? Moving expenses of individuals who move with the taxpayer (e.g., family members) are deductible if the individual has both the former residence and the new residence as his principal place of abode and is a member of the taxpayer’s household. For foreign moves (moves outside the United States), the costs of moving household goods and personal effects to and from storage and the costs of storing such goods and effects for part or all of the period during which the taxpayer’s new place of work continues to be the taxpayer’s principal place of work. People who want to set up non-profit organizations will have an easier time doing so now that the IRS has greatly simplified the application for tax exemption. The IRS just released a new tax exempt application form (Form 1023-EZ) that is only 3 pages long. Prior to this form being released, organizations applying for tax exemption would have to fill out the 26 page Form 1023. Most small organizations, including as many as 70% of all applications, qualify to use the new streamlined form. Most organizations with gross receipts of $50,000 or less and assets of $250,000 or less are eligible. Organizations should review the instructions to Form 1023-EZ to make sure they are eligible to apply with the simplified form. The instructions are just under 20 pages, and professional assistance will likely be needed. The application may be simplified, but it is still not simple. 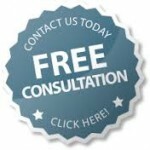 Form 1023-EZ must be filled out online at www.pay.gov. However, a sample (non-submittable) copy of Form 1023-EZ is available here. 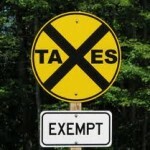 The fee to apply for tax exemption has been reduced to $400 from $850. However, under old provisions, there was a reduced $400 fee for organizations whose gross receipts did not exceed $10,000 over a four year period. Under the new provision, the $400 reduced application fee will generally apply to organizations with gross receipts of $50,000 or less (assuming other requirements are met).